Discussions Magazine Music Blog: GRACE POTTER & THE NOCTURNALS: New album available June 8th, 2010! 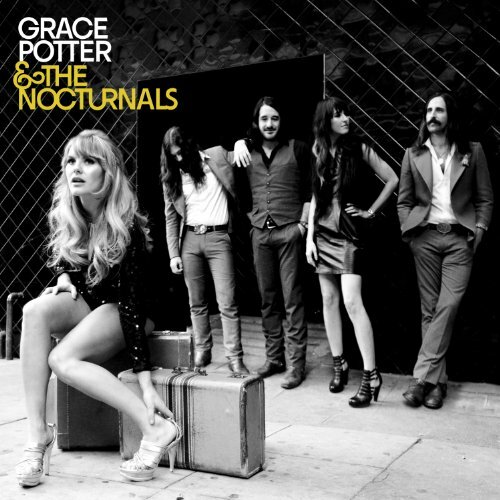 GRACE POTTER & THE NOCTURNALS: New album available June 8th, 2010! 2010 release, the third album from the Vermont-based Rock outfit fronted by multi-instrumentalist Grace Potter. The band blends funky Blues, Soul and Rock influenced by bands from the '60s and '70s. Unlike other modern singer/songwriters, Grace has guts, gusto and knows how to Rock with the help of her ace band The Nocturnals. Grace Potter & The Nocturnals are like a modern-day version of Tina Turner stroking the microphone in a spangled mini-dress while fronting the Rolling Stones circa Sticky Fingers.